Post about wandering around this big beautiful planet. Alright folks, here’s yet another blog post in the Wanderlust series. 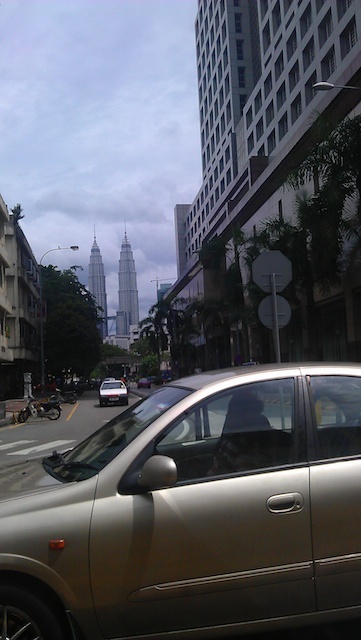 This time, I’m gonna recount the travel experience as it happened. Which basically means, what you’re gonna read is pretty much the itinerary of my trip, which should make it a considerably long post. Fret not. To avoid severe boredom to you, the reader, I’m gonna divide the post into parts. This also let’s me ruminate and churn out the second post at a later date, so, it’s a win-win! 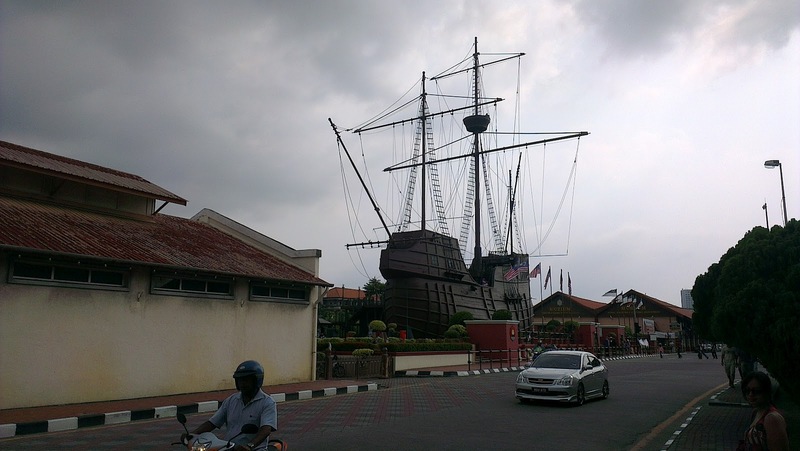 My most recent trip was to the Malaysian heritage city of Malacca (or Melaka). My wife and I were super excited about the trip for two reasons; one we REALLY needed a holiday and two, we were celebrating our one year wedding anniversary. Malacca was on my wish-list for quite some time. Being a UNESCO recognized heritage city meant that there were unique sights and sounds to experience. I had of course read up on the city plenty and was quite intrigued with the rich history. The milieu of colonial influences coupled with its almost bohemian culture sounded like the perfect holiday spot for a newly married couple like us! 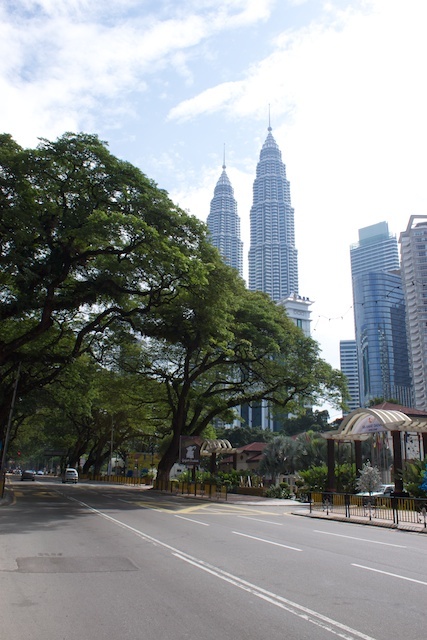 There are a couple of ways you can reach Malacca, but the most direct and hassle-free one (from Singapore of course) is a bus ride which lasts around 4-5 hours and is usually directly to your hotel in Malacca. We departed early Friday morning (8:30 AM) from the Golden Mile Tower (check this correctly since there is also a Golden Mile Complex, although they’re pretty close to one another). The journey was quite smooth, including the two immigration stops (one for each end of the border). Although the one at the Singapore end is slightly speedier (and neater!) 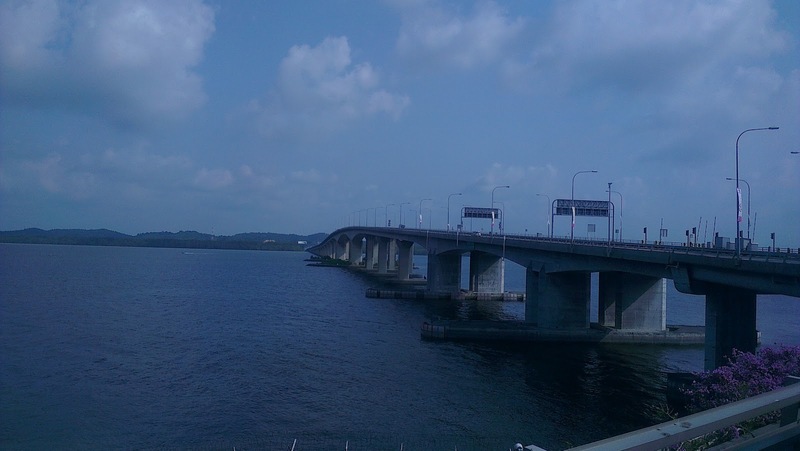 The border is essentially the Singapore strait which separates the two nations. The connecting bridge (one of two) looks pretty sweet. It’d be a good idea to visit the washrooms while at the immigration stops since some bus services do not have any pit stops until the destination. 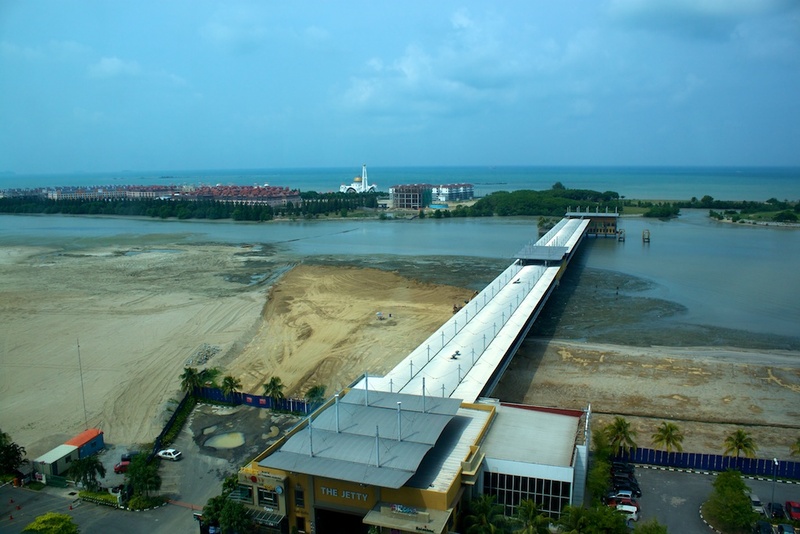 Our hotel (Holiday Inn) was at the edge of town (along the Straits). 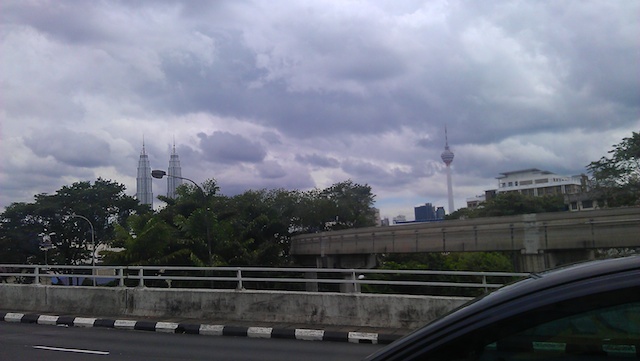 So our bus meandered through the heritage portion of the city, to reach our destination. 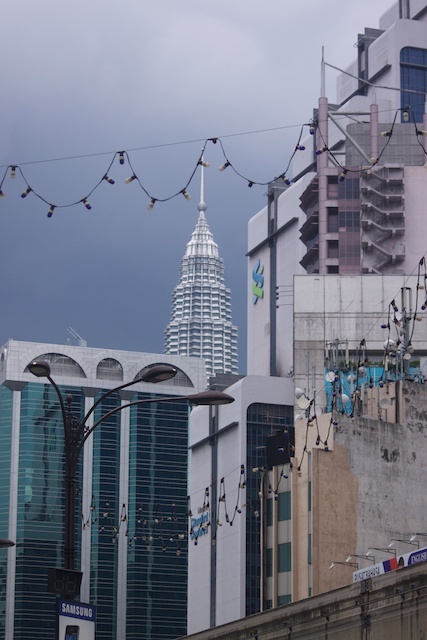 This gave us an early, albeit brief, glimpse of the beautiful architecture and colors of Malacca. Although I was a little confused by the choice of roads that were taken by the bus driver to reach the destination since the GPS had a more straightforward route to the hotel. 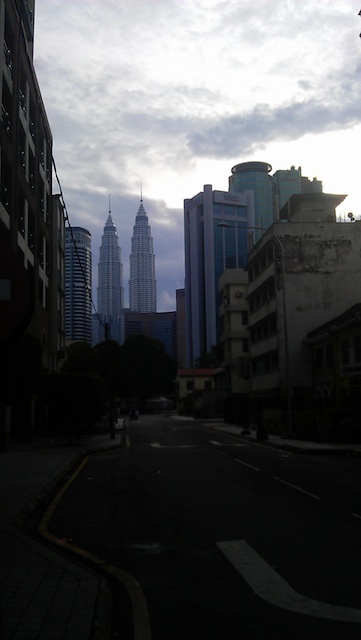 Ah well, we weren’t in any rush and the road time in different parts of the city was quite cool too. 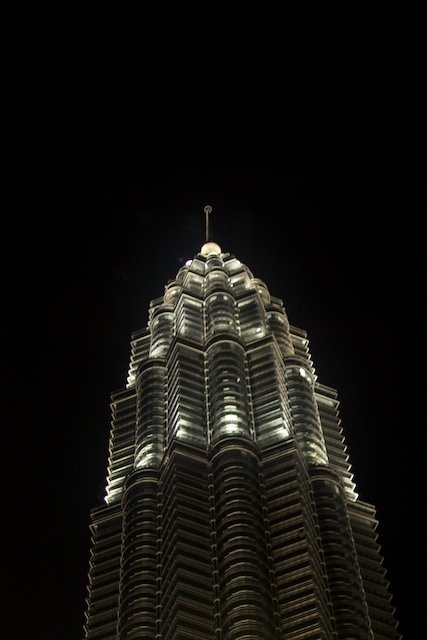 Our first stop for the evening was the Menara Taming Sari which offers a 360 Degree Panoramic View of the Historic City. The total duration of the ride is around 7 minutes (2 of which are spent in the ascent and descent). The view offered from this altitude is quite breathtaking. 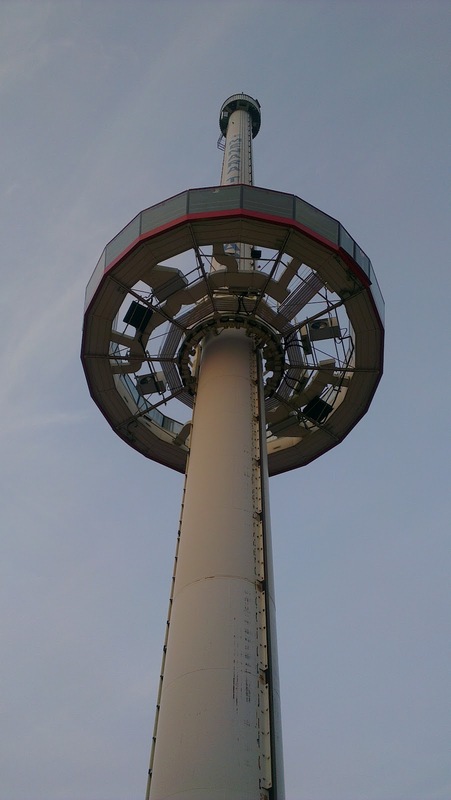 Rest assured you will get some really stunning aerial shots of the city (like the one at the beginning of this post!). Around here you’ll also find a number of other touristy activities for the entire family, ranging from mechanical pony rides for the little tykes to back, foot and shoulder massages for the weary ones. Our next stop was the Maritime museum which is housed in the replica of a portuguese ship (At least I think it’s Portuguese!). Another nice place for getting photos clicked of yourself as the captain of the vessel! Although for an entry fee of 3 Ringitts, it’s worth the expense even if you simply wanna stroll around the ship and read up on the history. By this time, the sun had already set and the evening skies were turning dark. 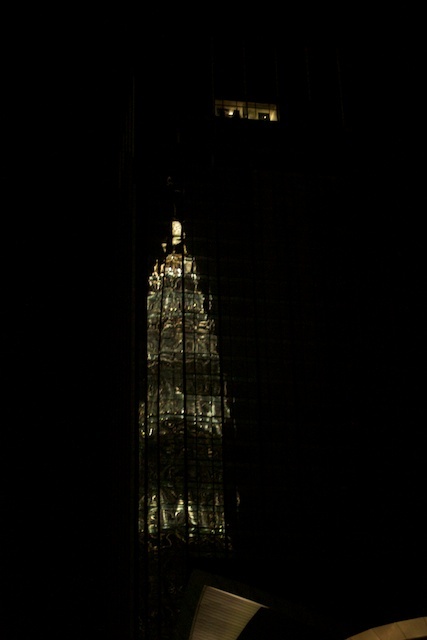 And the city also starts turning a little dim, since there aren’t many street-lights (Well not all over at least!) 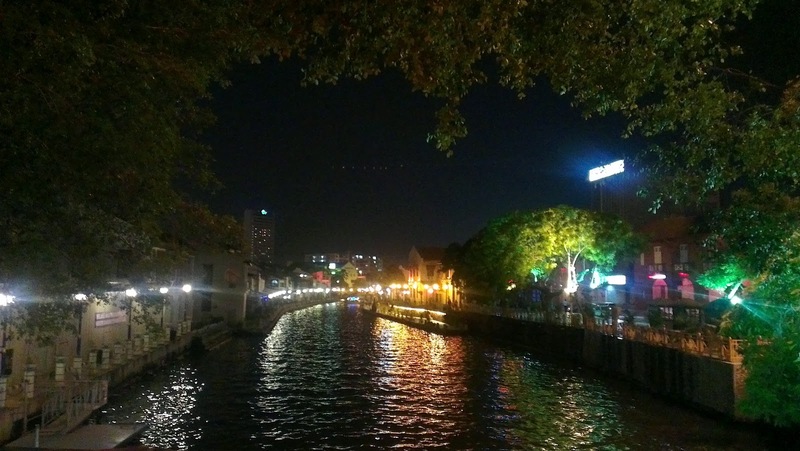 This coupled with the numerous colorfully lit up riverside cafes and hotels on either side of the water body made the Malacca river appear even more picturesque. Walking with your significant other in such an atmosphere was simply delightful! If you’re planning to grab a bite and want this view, head to Dutch Harbor Cafe or Harper’s Restaurant And Lounge. Both have seating that faces the river in addition to quite delectable menus. But we skipped the romantic dinner (Don’t worry we covered up with a LOTTA other activities!) and headed to the infamous Jonker Walk. But that’s gonna be featured in another blog post. The Malacca river is quite scenic so if you do get the time, take a river cruise to appreciate the beauty. But we found strolling along the riverside far more romantic and rewarding. 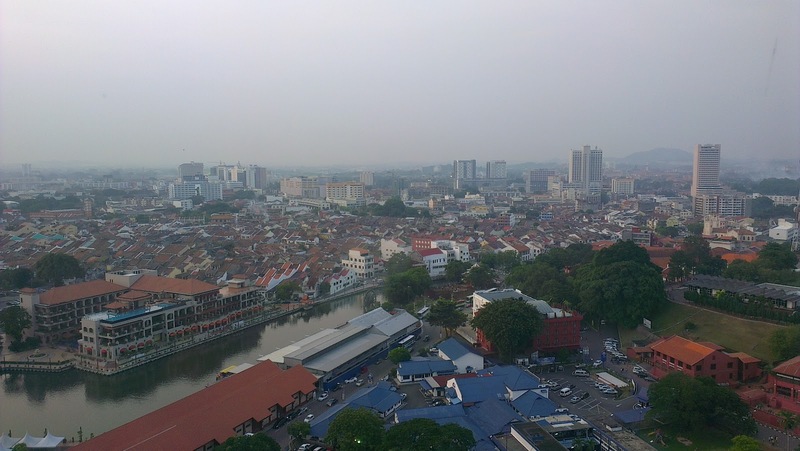 So you know, to each his own.The Malacca river divides the heritage city into distinct sections with contrasting architectural styles. While most of the heritage portion lies to the west of the river, the east is dominated by rows and rows of houses, many with Chinese influences on their styling. 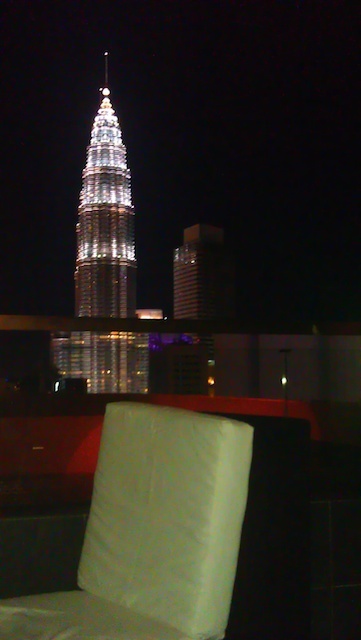 Dinner was at a cafe close to the hotel in a newly opened late night hot-spot called The Jetty. The place looks deserted during the day, but trust me, once the sun sets, the place is anything but quiet. 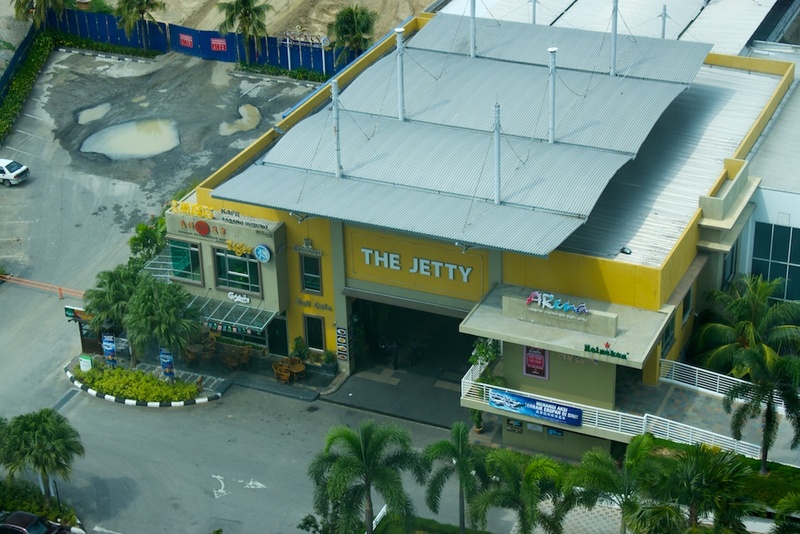 With a number of restaurants, bars karaoke lounges and even a dessert hut, The Jetty is probably your best bet for some fun in Malacca post dinner time. So that was pretty much what we did on our first day (well half a day to be fair!) The next post will give a little more about the many sights Malacca has to offer to the shutterbug and the tourist in you and of course the stupendously spectacular shopping experience at Jonker Walk! Recently I had the opportunity to visit the city of Amrtisar. Having only read about it in text books in a historical context (read the Jallinawallah Baug Massacre) and otherwise in movies, I was quite excited about the trip to this town-city. And sure enough I was not disappointed with my short trip. Although I was there to attend a wedding (of two of my dearest friends), I did manage to experience the major sights and sounds of the city. Here’s my account of the said trip. 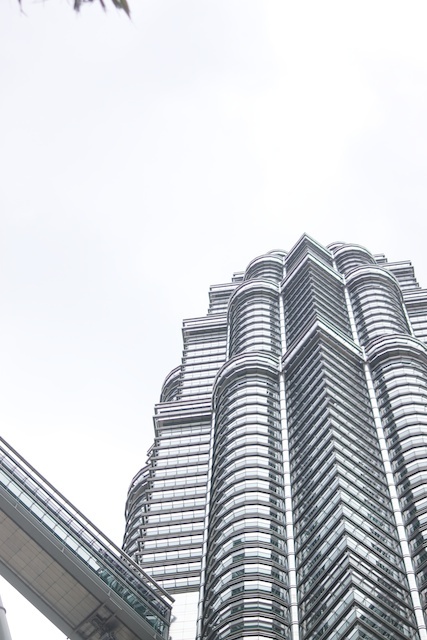 With no direct flight out of the domestic airport, the best way to get to this city by flight is to take a connecting one from the nation’s capital. Flights out of Delhi to Amritsar are quite frequent and take only around 50 minutes of flying time. 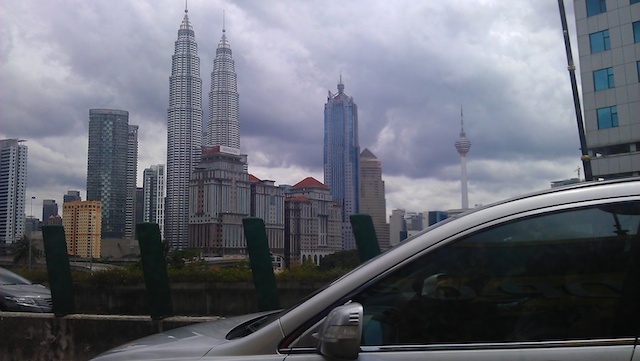 Once you land at the airport, a taxi ride to the main city takes less than thirty minutes. The city itself isn’t very huge, so getting from one end to the other would ideally not take a lot of time. But then, traffic is an element you need to factor into your travel plans in any city with a bustling automobile traffic, especially one with loads of two and three wheelers. 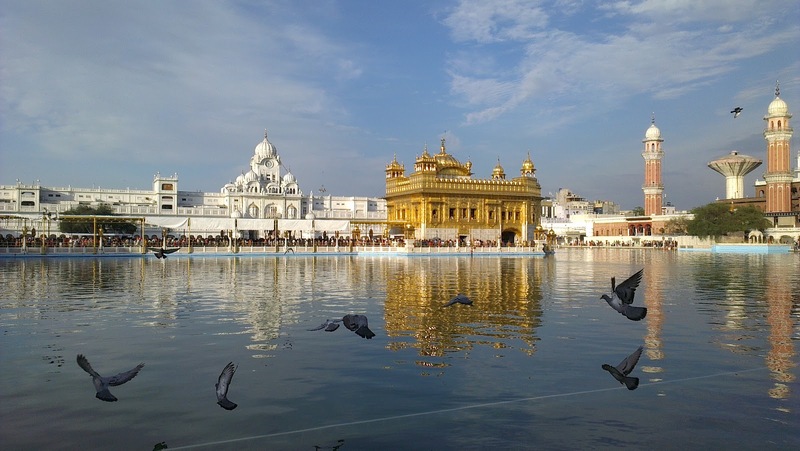 Perhaps the most fabled and famous landmark in the city of Amritsar is the Golden Temple. Suffice to say, that a trip to this spot was on my checklist. 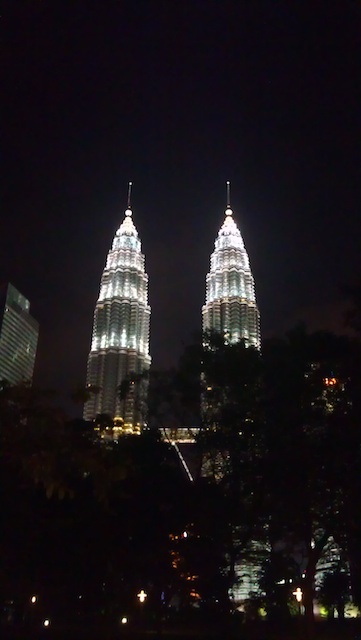 Apart from the spiritual significance that the temple holds, the opportunity to capture the brilliance of this structure through my DSLR and brand new HTC One X was hard to pass up on. The temple compound is colosal and houses multiple facilities apart from the main temple. These include free filtered drinking water, a library of Sikh religious texts and a free kitchen for all devotees. The main tempe building I have to admit for someone who isn’t too easily impressed with temples, the Golden temple did offer something unique. The other major tourist attraction that tops the charts is the India-Pakistan Wagah Border. More specifically, the border ceremony that takes place every evening at 5:30 pm. The entire objective of the ceremony, in my view, was to one up the Pakistanis with louder and more vehement patriotic chants. I’ll admit, i quite enjoyed the whole mexican wavesque manner in which we kept chanting and raising our hands in pride to shout out Bharat Mata Ki Jai (Praise the motherland). One of the most memorable aspects of the ceremony is the manner in which the leader of the squad (pardon my lack of knowledge of official army terms in these matters) shouted out the orders to his troops. Its a testament to the lung power that these men posses. But all the cacophony and histrionics and patriotic chants take a backseat when the ceremony comes to a close with the ceremonial flag de-hoisting. It is a sombre moment where both nations show a sense of camaraderie with a simple salute. 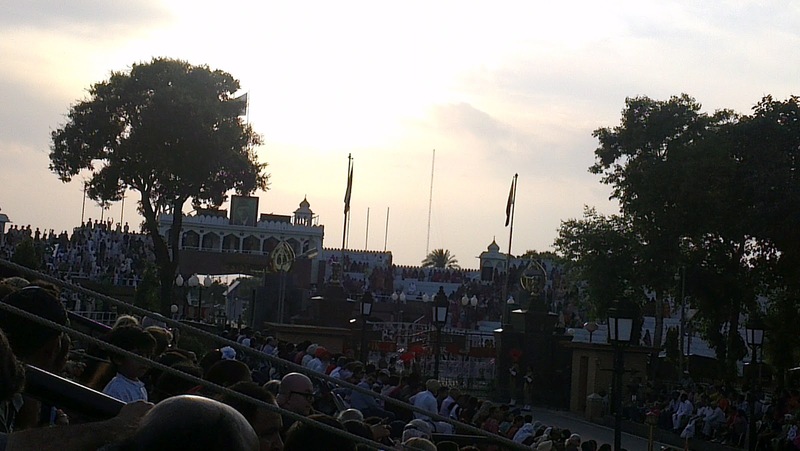 The flags of the two bordering nations – India and Pakistan as seen from the Indian side of the Wagah Border. 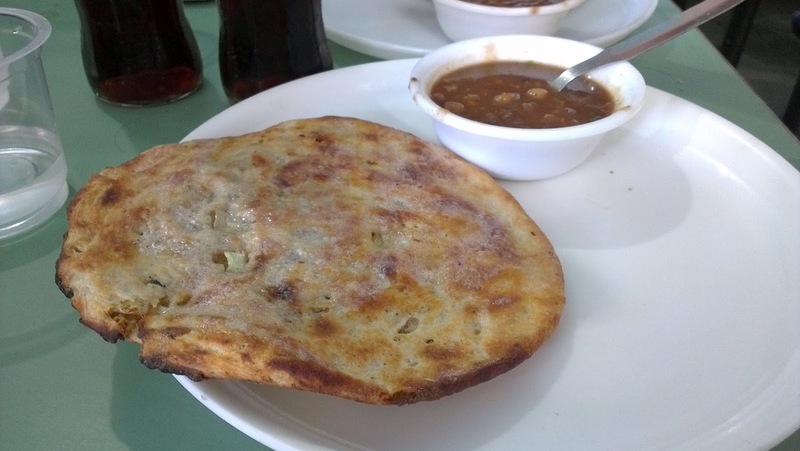 Of course no trip to the heartland of Punjab can be complete without a visit to one of the many famous dhabas. 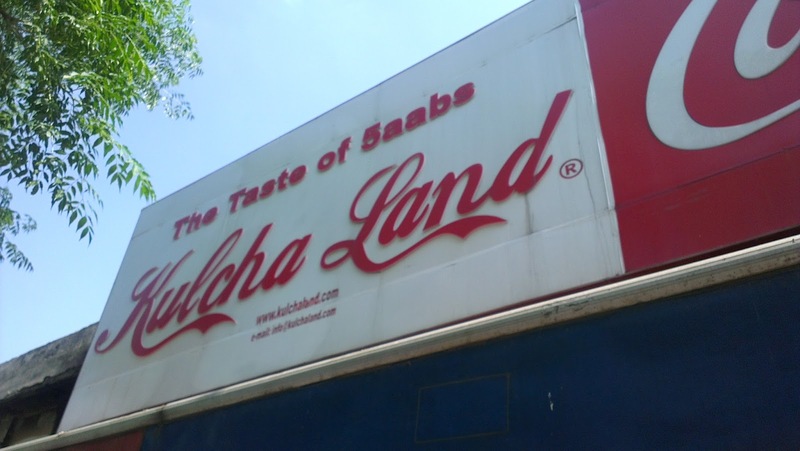 The first stop was at a place aptly called Kulcha Land. The location is very unassuming and so is the ambience. But don’t let the simplicity of this place fool you. The food was absolutely delish! I am not joking when I say that there was more butter on the kulcha than there was chole next to it! The Punjabis sure do LOVE their food. But I must admit, the extra fat gives the food that delicious flavor. 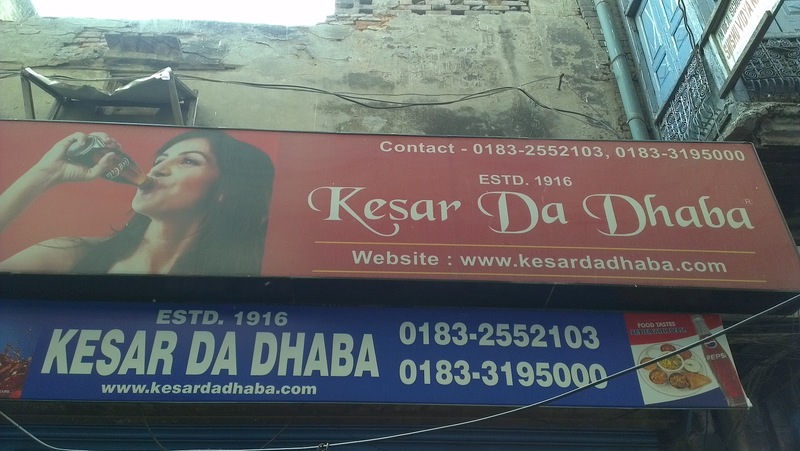 Our second (and most delicious) stop was at the famous Kesar Da Dhaba renowned for preparing its food in pure desi ghee (clarified butter). Although our stomachs weren’t trained for the pure richness and heaviness of the food, the authentic taste and tantalizing flavors ensured that we gorged on the food till our belts needed unbuckling! I am quite sure we gained a good five pounds after the meal. The city of Amritsar is an absolutely delightful place to visit and should be on every shutterbug’s list of places to visit (Not to mention on every foodie’s list as well!) Apart from the various photog opportunities, the small town charm of the city will leave you with a very warm feeling that you will cherish for years to come. 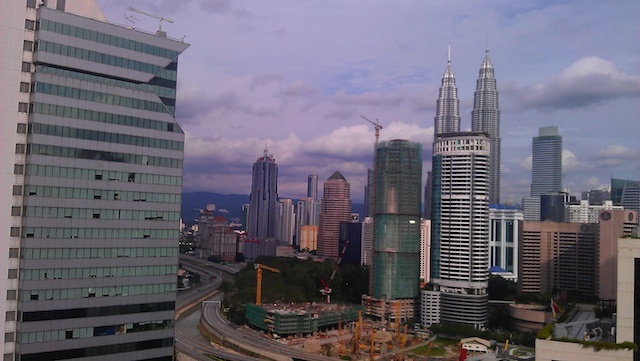 I made my first trip to the Malaysian capital over a recent long weekend. Although the trip was primarily supposed to be a getaway of sorts to help relax my nerves (along with my wife’s), it turned out to be a great opportunity for me to take some really good clicks. 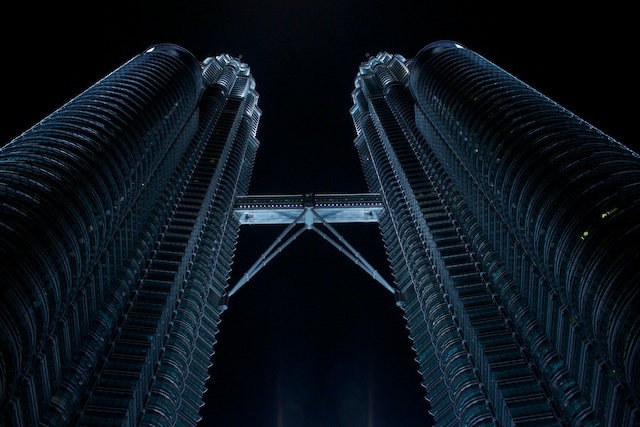 Although my passion truly lies in street photography, I couldn’t help but marvel at the splendor and grandeur of the Petronas Twin towers. 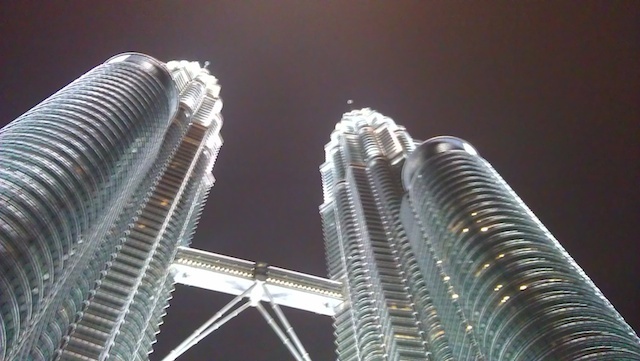 As a result I ended up with a great number of shots of the twin wonders. This prompted me to embark on a mini project with the aforementioned title. 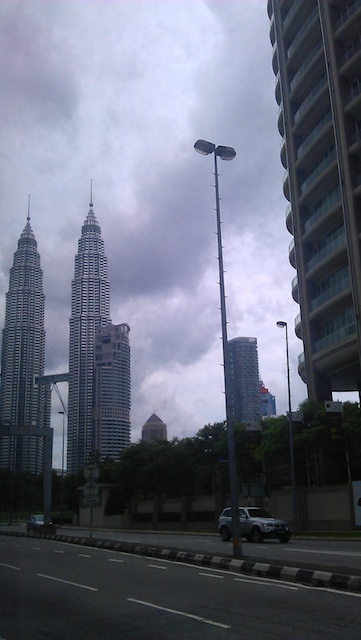 The towers as seen from the scenic view of our hotel room. 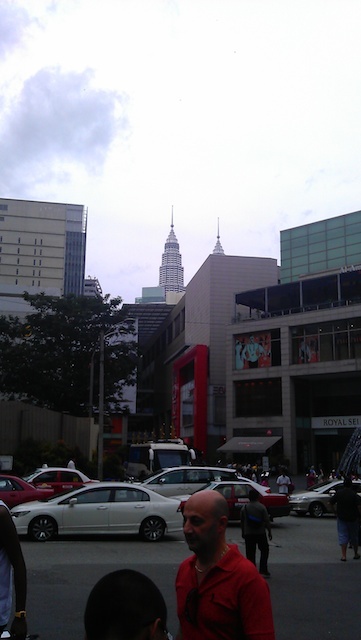 by the “other iconic” tower, the Menara KL tower. 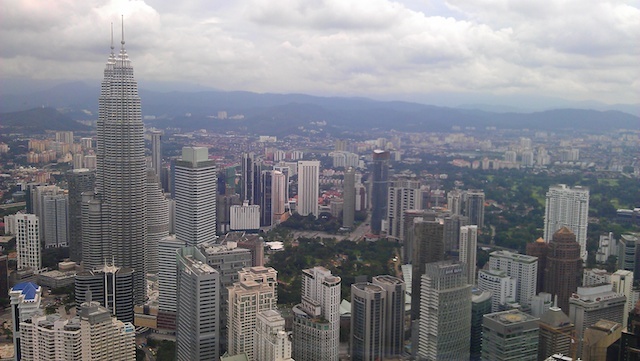 The view from the Menara KL towers. 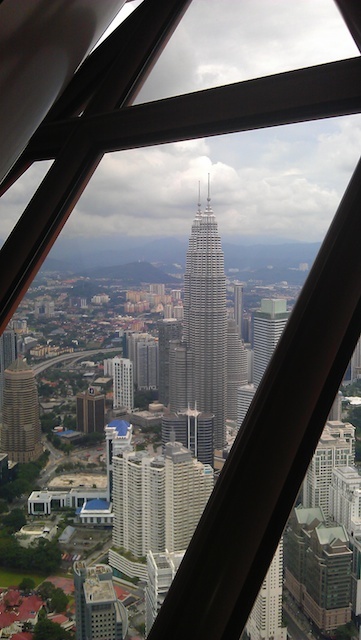 Although not as famous the twin towers, the KL tower arguably offers a better view of the city. 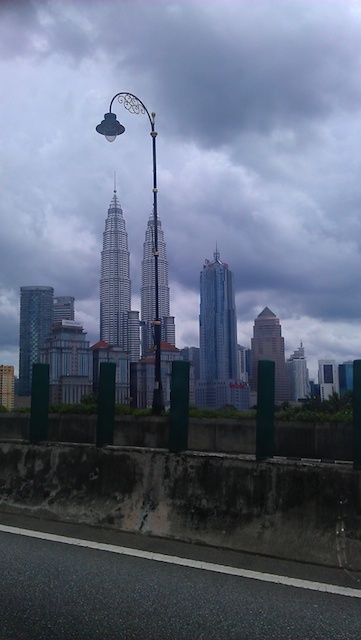 Well at least you get to see the iconic Petronas towers. 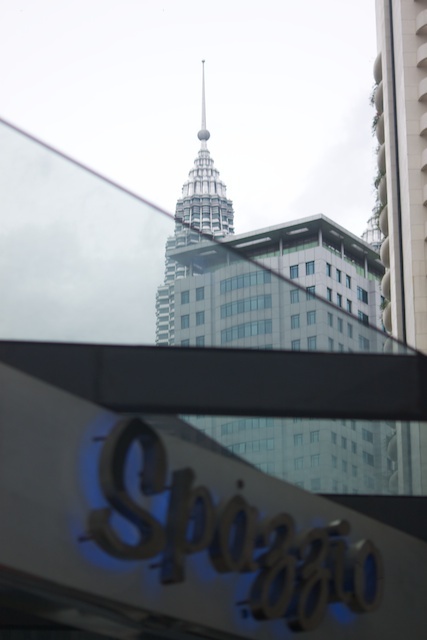 The towers as shot from different angles from the tower base, the Suria KLCC Mall and KLCC park and the KL Convention Center. So there you go. 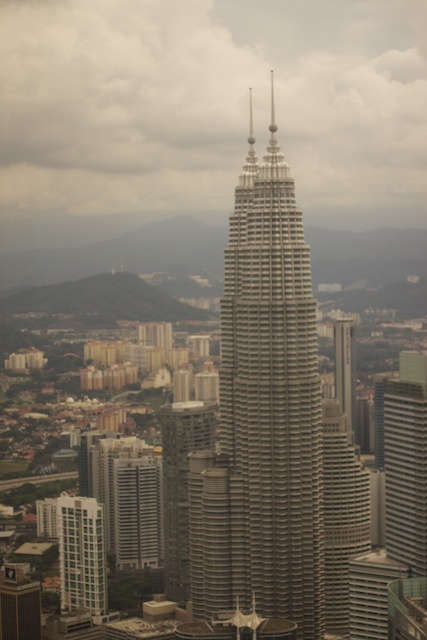 The Petronas Twin Towers as clicked from a myriad of vantage points throughout the Malaysian capital by yours truly. The Lion City, a set on Flickr. It’s been over a year since I moved to Singapore. In the time that I have been here, I have been privy to the wonderful sights and sounds of the city. With it’s rich and diverse mix of people, cuisines, leisure centers, landscape and tourist hot spots Singapore always has something to offer to a budding photographer. 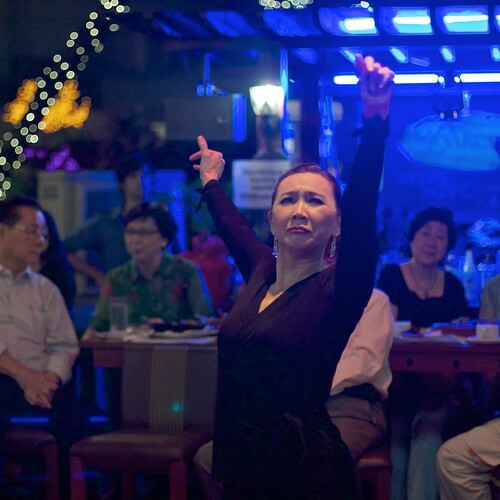 This slideshow is my small homage to the Lion City. My recent visit to the capital city of The Philippines was a very short one as the primary purpose of the trip was to attend a wedding. Still, I did manage to experience the city to a considerable extent (Thanks to my wonderful friends!). Here’s a small account of the sights and senses, I had the privilege of experiencing first hand during my stay. As I made our way out of the Ninoy Aquino International Airport and drove into the city of Manila (Metro Manila as some call it), there was a sense of familiarity. Even in the darkness of the morning twilight, what my eyes saw was nothing radically different from what they had seen in countless cities over the years back home in India. The sights, the sounds, the smells, all of which reminded me of my very own hometown of Bombay, were a welcome change from the overly sanitized, organized and structured ones of Singapore. Having said that, one cannot help but notice a rather strong influence of the Americans (read USA) over the infrastructure. 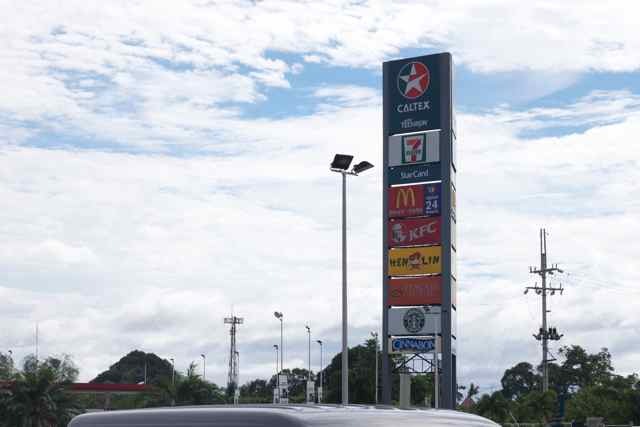 Right from the 24 hr diners and fast food chains to freeways to drive-ins and even the huge malls. The influence extends beyond tangible aspects and even permeates into the populace itself. The language diction and enunciation of most educated Filipinos (Pinoy in the local tongue) is unmistakably Americanized. Upon reading the history of The Philippines, the reason for the strong Spanish and American influences are explained. The Spanish influence obviously predated that of the American, and is therefore deeply rooted in the language, religion and culture. The American one, relatively more recent, dominates their current lifestyle. Although my journey within the city were confined in a rather spacious and climate controlled private vehicle, I was fortunate to observe the ways of the local public transport in the city. 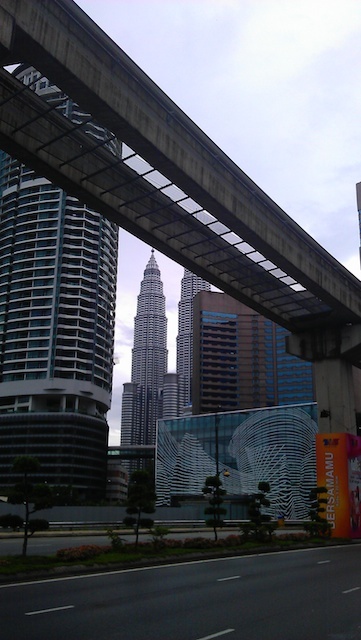 They have the standard options; the MRT (Mass Rapid Transport – the metro), the buses and the cabs. 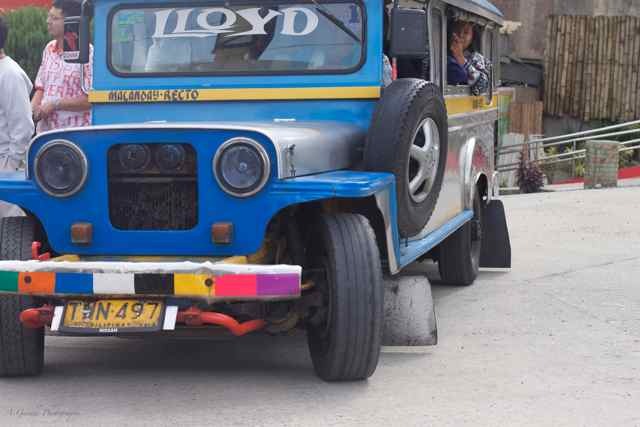 But in a cute reference to its own past, they also have the Jeepney, a cross between bus and a cab. These quirky looking four-wheeled public transportation options run on fixed routes and can be hailed anywhere along said routes. The fares are obviously competitive to other modes of transport, since most of the populace rides them. 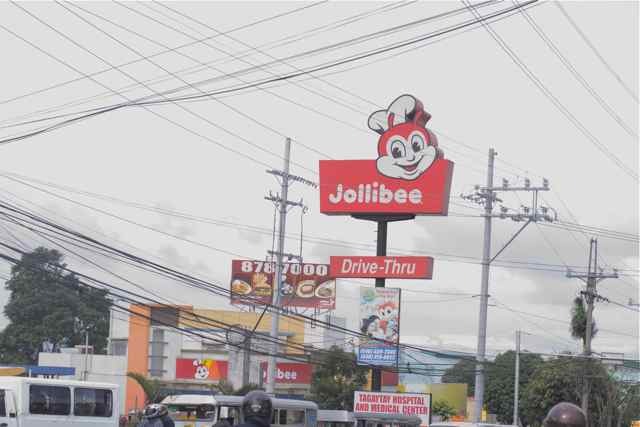 Despite the presence of major US fast food chains (McDonalds, KFC, BUrger King, etc) the locals still swear by the indigenous fast food giant, Jollibee. With a menu that comprises a mashup of McDonalds and KFC with strong local flavors, it is little wonder, this fast food chain comes highly recommended by all my Filipino friends. P.S. The Spicy Chicken Joy is worth a try. Another unique indigenous addition to their American dominance, is the complete absence of fries in most fast food menus. Yes! They do NOT serve fries with their shakes, or burgers, or fried chicken. Instead, you will find rice as a standard side at all fast food joints. It may seem odd for those of you have grown up on those long pieces of salted deep fried julienne potatoes, but trust me, the rice does go well with most dishes. But then again, that could just be the “Indian” in me, saying that! 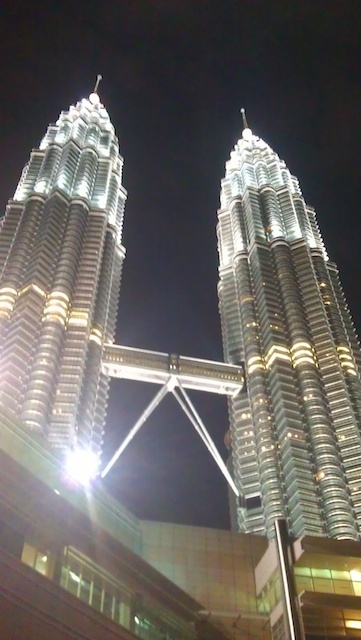 What impressed me most about the city, was the vibrant nightlife. The hotspots seemed more lively and not all that expensive. 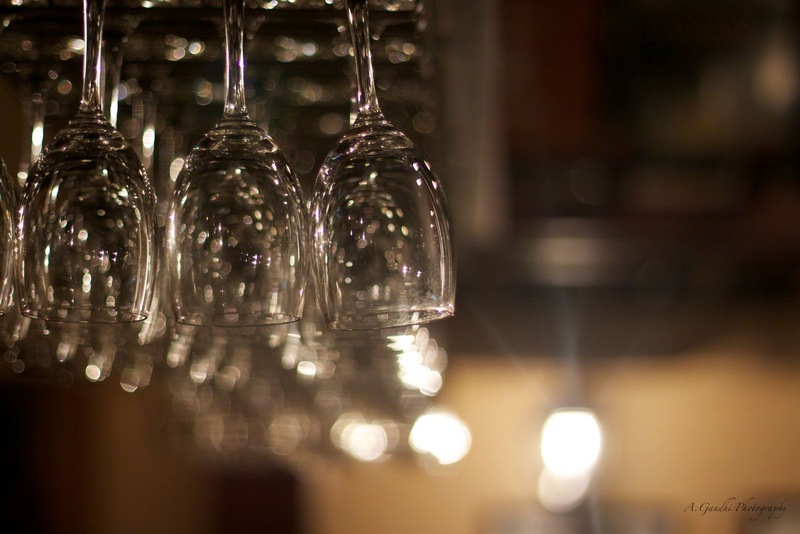 With a variety of themed bars and lounges, you’ll be spoiled for choice. Of course, my evening outing was at the same place till 4 AM! But then, it was with great company, so absolutely no regrets. As I said, this trip to Manila was very short for me to pen adequate details about the city beyond the culinary experiences! Rest assured, what little I have experienced of the city has titillated my senses and I am eager to experience more of the city and rest of the wonderful country of Philippines.